Remember the old metal canteen? 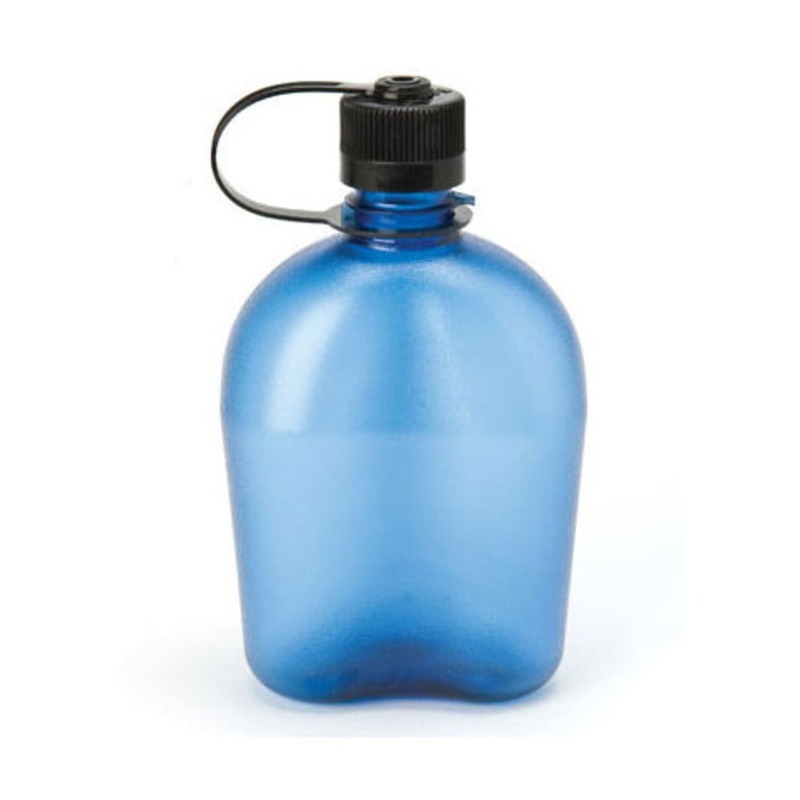 Made from durable Eastman Tritan with a threaded leakproof cap, the Nalgene Oasis is as tough as it is stylish and the coolest canteen in camp. Dimensions: 8 1/2 (height) x 4 7/8 x 3 1/8 in. Volume (fluid ounces): 32 fl. oz.